Iranian Revolutionary Guards are taking part in guarding the Syrian President, according to Western officials. Syrian President Bashar Al-Assad changed his security team several times in recent months, fearing one of his own security guards may kill him, Western officials told the Al Arabiya network on Friday. According to the officials, the Iranian Revolutionary Guards are taking part in guarding Assad, as well as in guarding other senior officials in the Syrian regime, and are also advising Assad in this regard. The same sources told Al Arabiya that a senior representative from the Revolutionary Guards, Hussein Hamdani, who resides in Damascus, recently advised Assad to use the organization's personnel to solve his security concerns. In August, Iran publicly confirmed that its government has sent elite Revolutionary Guards to support Assad’s troops in that country's civil war. Subsequent reports indicated that Iranian President Mahmoud Ahmadinejad personally sanctioned the dispatch of the experienced officers to ensure that the Assad regime survives the threat to its survival. A senior official in the Iranian Revolutionary Guards threatened the United States and its allies in September that the Islamic Republic would respond harshly to a “stupid” attack on Syria. 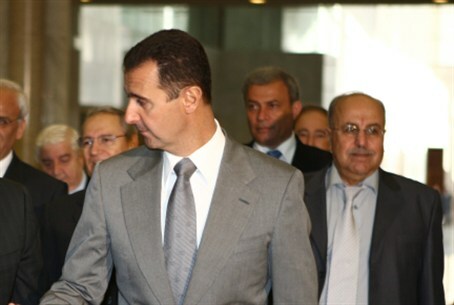 However, this is the first time that it is being reported that Iran is providing personal assistance to Assad himself. The report indicated that Assad's concern for his own safety increased following the attack in Damascus in July, which killed several key people in his inner circle.